Do you start your Christmas shopping in July? If you’re anything like the average shopper, you are at least making lists and browsing, even if you’re not quite ready to buy. As reported by Ad Week, a Facebook IQ study from August 2015 noted that about half of respondents would shop in December. But, 49 percent said they planned to do most of their shopping before Black Friday, and 12 percent planned to be done before October. That means, when holiday sales can often make or break a retailer’s year, it’s never too early to shore up your current marketing campaigns and begin planning your holiday messages. Know what’s hot – and align with it. You may not have the hottest new product for the season, but you might have something that relates to it. This tactic works no matter what time of year. Build your campaign around that related item to help attract customers to your products. Use contests to inspire action. Social media promotions, paid ads, and website banners can help entice people to share their contact information for future communications. Use this tactic throughout the year to you expand your email database, which increases your pool of potential buyers with which to build on ongoing relationship. Make email subject lines direct, conversational, and relevant. Instead of leading with a sales offer, use the subject line to address questions on the shopper’s mind. Appearing helpful, rather than pushy, can improve email open rates and encourage action. Plan content based on customer behavior. 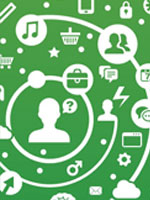 Digital communications allow you to identify and track patterns in customer behavior. Use those patterns to match communications to buyers’ interests before the holiday as well as after it. Also tailor your communications to send separate messages to those who are thinking about buying and those that already have. Focus on quality over quantity of communications. Blasting more communications to shoppers doesn’t always equate to more sales. Use your email provider’s analytics to help identify who is reading your emails and what they’re reading so you can follow up and close the sale. With smarter campaign planning, you can improve your business results at the holidays and all year long. Note: Some of this content appeared in a different format in an article by IMN in the Direct Selling Association’s SupplierSource email newsletter.